WHAT? 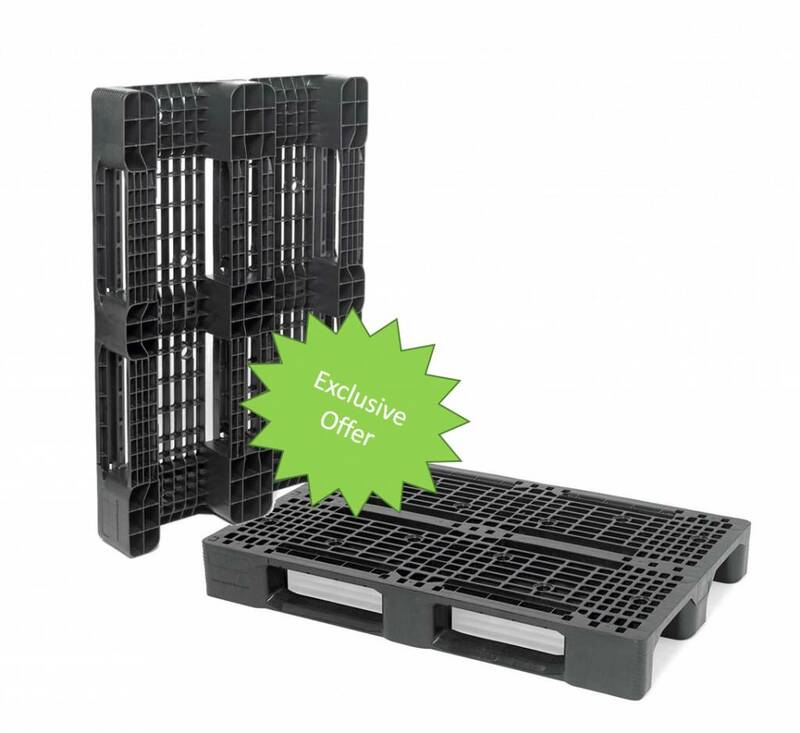 A 500kg rackable Euro-size pallet for less than 16 Euro?? The lightweight 800 PES 1200x800 pallet is made from recycled HDPE and perfect for rackable warehousing. Weighing only 10.6 kilograms, it is perfect to handle and yet strong enough for a high payload. The 800 PES can hold up to four tonnes of static payload and up to one tonne when in transit. When stacked in a rack, it has a payload of 500 kilograms. The pallet has three fortified skids and rounded corners, which gives the 800 PES more strength. Its open deck has a T-structure, making the top side level and smooth. The recycled HDPE makes it very easy to clean and resistant to acids, fats, solvents and steam cleaning. Because of its weight and the use of recycled materials, it contributes to lowering CO2-emissions and your carbon footprint. So if you want a versatile, lightweight pallet that can handle a big payload, even when stacked, than the 800 PES is your best solution. Now available in the Contraload Webshop for an exceptional introductory price until 31/01/18.